Inverurie Smile Care was opened by our Principal Dentist Dr. Navin Aziz in August 2014, as our Inverurie dentist followed the success of our sister practice in neighbouring Huntly. Our journey has culminatined in our Inverurie dentist being awarded Scotland's Best NHS Practice 2018 at the Dentistry Scotland Awards. We have immense pride in knowing we provide you and your families with excellent care, as only you deserve. We look forward to welcoming new and old into our dental practice: as a team, our family of nurses, dentists, receptionists, and managers truly cherish the work we do for the communities of Inverurie and surrounding areas. As an NHS Dentist Inverurie, we offer a service that is second to none, with patient care at the heart of everything in ensuring you receive the best possible NHS dental care. Not only is the practice open 8AM to 8PM Monday to Thursday and 8AM to 6PM on Friday, but we offer dedicated, free parking for patients and free Wi-Fi in the patient waiting area. 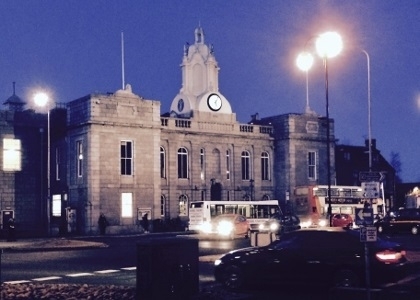 Our Inverurie dentist has disabled access, two spacious state of the art surgeries with digital radiographs and fully computerised patient records, and also a dedicated decontamination room. If going to the dentist has been a daunting experience for you in the past, we will do our best to make the experience more comfortable for you by taking the time to find out why you are anxious and work on building your trust. Our commitment is to provide excellent dental care in a stress-free, relaxed environment.